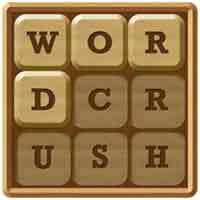 Cheat for Word Crush 30 Hidden Words in VARIETY BIG ON BIG-4 Answers quest to find 30 hidden words that you stuck and get reward with 3 hints ! Clear quest from the treasure chest and get hints ! The game will get harder, so if you’re stuck then hints will become useful. Check how many hidden words you can find on variety big on big level 4, they have the same length as the answers! Just swipe to crush the words up, down, left, right or diagonally.. in any direction ! Try to find specific words. The answers in each level are related so check the length of the words below the puzzle. Sometime you need to solve the puzzle in the right order. If you can’t connect the letters, tap undo or reset.